Sydney Mazda | Blog | Sydney Mazda Donates to Caleb’s Courage! Sydney Mazda Donates to Caleb’s Courage! Last week, the team at Sydney Mazda wore capes and masks to honour Caleb MacArthur and raised $500.00 for Caleb’s Courage on superhero day. We were so honoured to be a part of Super Hero Day! 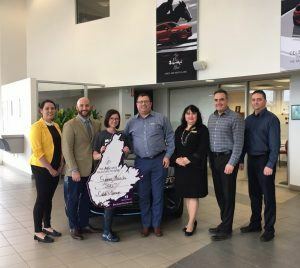 The team gave from every test drive and raised important funds for critically ill children in Cape Breton.